A large aquarium positioned prominently as a display is a stunning addition to any room. But big tanks don’t have to have all the fun. A Nano Aquarium, on the other hand, is a comparatively pint-sized tank, typically around 20 gallons or less that packs a big punch in a small package. This reduced capacity offers aquarium hobbyists a broad range of options for where to install their aquariums and creates unique challenges to see what sorts of miniaturized environments they can set up. With a nano aquarium reef tank, you can have a living piece of the ocean sitting right on (or behind) your desk, assuming you pick the right saltwater fish and corals for your system. While these tiny tanks can create some additional challenges in maintaining optimal water quality to support life, the reduced size offers the benefits of substantially reducing costs and simplifying the scale of maintenance. Nano reef aquariums continue to blossom in popularity as hobbyists and experts improve their methods, opening up what was previously a complicated, expert-only realm to a new range of beginner and veteran aquarium owners alike. These days, setting up your own nano reef tank is easier than ever. Let’s take a look at just what you’ll need to create your own miniature living reef. When dealing with nano aquariums, it’s important to remember that the smaller your tank is, the more attentive and careful you need to be with the water quality. The smallest of nano tanks (five gallons or less, sometimes referred to as “pico tanks,”) are typically reserved for more advanced aquarists. Slight fluctuations in water quality that might go totally unnoticed in a larger tank can have devastating impacts in such tiny, confined environments. 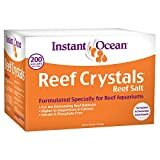 With this in mind, if you’re just breaking into aquariums and caring for reef tanks, you’ll probably want to opt for a nano aquarium that’s at least 15 gallons or more. 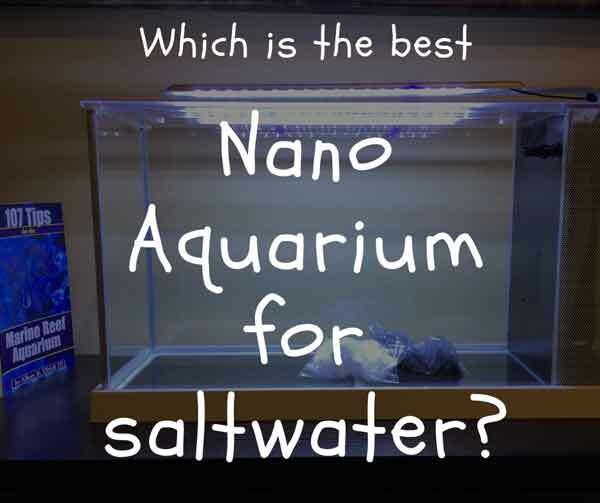 Complete beginners may want to err on the side of caution even more by selecting a 20+ gallon aquarium as their first nano tank. As you become comfortable with what is involved in caring for your reef, you can consider scaling down if those teeny tiny tanks are still attractive. Quality Water Flow and Filtration: Nano tanks are small, but they should still be able to circulate water effectively and keep everything in the tank flowing. This is essential to keeping the water constantly passing through the tank’s filtration system and ensuring optimal water quality. Heating and Lights: You’ll want a nano tank that either has a built-in heater or one with space to accommodate a heater. In the same vein, you’ll need quality lighting and the ability to mount it over the tank. 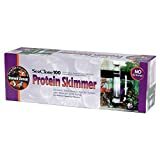 Room for a Nano Protein Skimmer: To keep the tank clean and consistently remove organic pollution, you’ll want to make sure the tank has room to accommodate a Nano Protein Skimmer. These either submerge into the tank or can hang on the back of the tank, mounting to the frame. Now that we have some idea of what we’re looking for in our nano reef aquarium tank, let’s take a look at three popular options and some of their pros and cons. Included are the 5-gallon tank, a built-in 3-stage filtration system featuring mechanical, biological, and chemical filtration, and a 11000K LED light suitable for coral growth. The tank is very attractive, with the three-stage filtration system partitioned off to one side and masked with a subtle honeycomb pattern, keeping the focus on the beauty within the tank. Out of the box, the Evo V setup gives you most of what you need to get a reef going. You’ll also need to get a heater and nano protein skimmer sold separately. Other than that, the essentials are all included for getting started. Many customers have reported quickly outgrowing the relatively low output of the included LED light and upgrading to something a bit more capable as their corals began to mature. Because the capacity is so small at 5 gallons, there is very little free space in the tank. You will be able to install a heater and a nano protein skimmer, but be sure to get one of the smallest options or a hang-on-the-back (HOB) variety to ensure you have adequate space. You’ll need to design your reef environment very carefully and pay a lot of attention to where and how you place things, or you’ll very rapidly find yourself out of tank real estate. This Biocube from Coralife is available in 16- and 32-gallon varieties. Included out of the box is a quality lighting system equipped with a 24-hour timer and three LED settings offering bright white light, sparkling blue or color-enhancing LEDs for when its time to show off your reef. The tank also includes a filtration system and a near-silent submersible pump. The programmable LED lighting is one of the Biocube’s most attractive features. These lights can be programmed to create a day/night cycle in your tank which is designed to mimic natural light patterns. Once configured (which is simple enough, but the manual is of little help,) the lights are set-it-and-forget-it unless you want to enable the color enhancing LEDs to dazzle a guest with the contents of your tank. Even in the 16-gallon variety, the Biocube offers plenty of space to accommodate a heater and a nano protein skimmer, neither of which are included out of the box. However, Coralife offers nano protein skimmers and heaters designed specifically for their Biocube aquariums, which are worth looking into. The price tag on these Biocubes definitely makes them a mid-range option, but the high-quality included features give a lot of bang for your buck. This 13.5-gallon nano aquarium can make a great little reef tank. Another offering from Fluval, the EVO XII is the big brother of the EVO V we looked at above. Scaling up the same just-the-basics design, the EVO XII offers a tank which strikes a nice compromise in terms of capacity while still going easy on your budget. At 13.5 gallons, the EVO XII will be much less sensitive than the tiny 5-gallon EVO V, but aside from this difference, the two tanks have much in common. Like its smaller sibling, the EVO XII includes a 3-stage mechanical, biological, and chemical filtration element powered by its built-in pump. The top of the tank is equipped with a 14000K LED light suitable for promoting the growth of coral. There is also a little door for easy access when feeding the critters down below. You’ll need to buy a heater and nano protein skimmer separately. The tank includes more than enough clearance for both of these. However, some customers have noted that the Fluval-brand heater advertised for use with this tank does not fit properly. The other major complaint encountered regarding the EVO XII is the strength of its pump. Some users have reported that it doesn’t get the water flowing and circulating well enough throughout the entirety of the tank. You may desire to replace the pump with something more capable as your reef grows and matures. This Nano Cube tank from JBJ punches a bit above our definition of nano tanks but still fits the bill in many regards. With a 28-gallon capacity, the Nano Cube can be a good choice for those looking to dip into caring for nano aquariums without risking the perils of a too small, too sensitive environment. Having 28 gallons to play with gives much more leeway when it comes to subtle changes in water quality, and it also offers a lot more space to experiment with larger corals and more diverse reef populations. Included with the Nano Cube are a 105-watt compact fluorescent (CFL) quad lamp system and a 3-stage filtration system powered by two programmable pumps. The two pumps act together in a system called Ocean Pulse Duo designed to create turbulence in the currents as water circulates through your reef, a clever bit of engineering geared towards more closely replicating a natural ocean reef environment. Also included are a set of more subtle LED lights for night viewing. You’ll need a heater and a protein skimmer to get the Nano Cube up and running, as they are not included with purchase. But given the spacious design of the tank, it shouldn’t be hard to find a nano protein skimmer and heater which fit easily into the tank. This is a fairly high-end system in the world of nano reef aquariums, both in terms of the size of the unit and the quality of the lighting, filtration, and pump system. It offers this for a competitive, mid-range price, and can provide a fantastic tank for beginners and experienced aquarists alike.